Virtual Run/Walk/Sleep Registration is open! This year we are shaking things up and hosting a Virtual 5K Run/Walk (or Sleep-in!) in support of the National Alopecia Areata Foundation (NAAF). A virtual run is similar to a hosted run/walk but completed on your own time. When you register, you will receive a commemorative medal and race bib. Once you have completed your run, walk, sleep you can enter your time back into our website to be entered to win fun prizes. Register today and run/walk/sleep-in for a good cause. 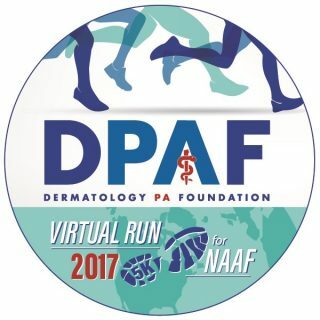 Be sure to pick up some SDPA/DPAF swag during check out so you can run in dermatology PA style! Check out our events for all the details! Registration closed June 5th.